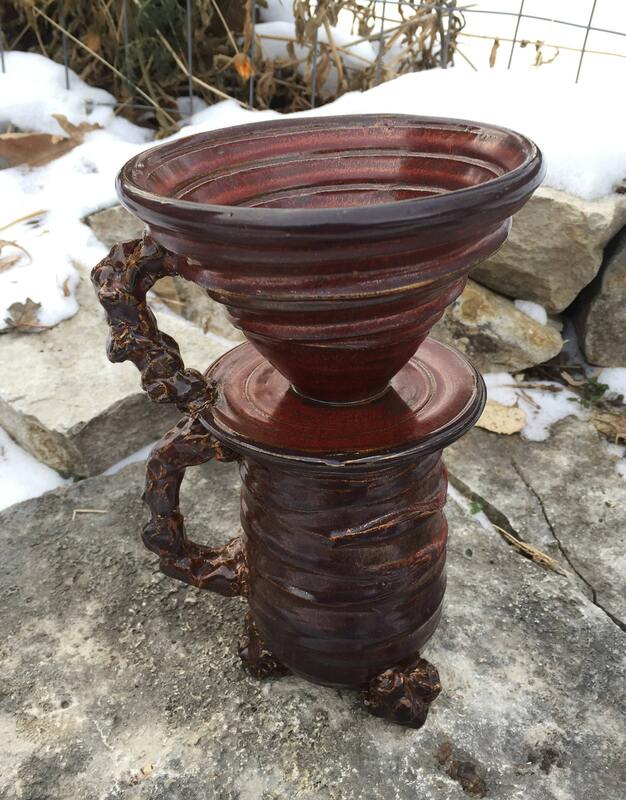 This is a white stoneware pour over coffee maker, wheel thrown and assembled with a hand built handle. 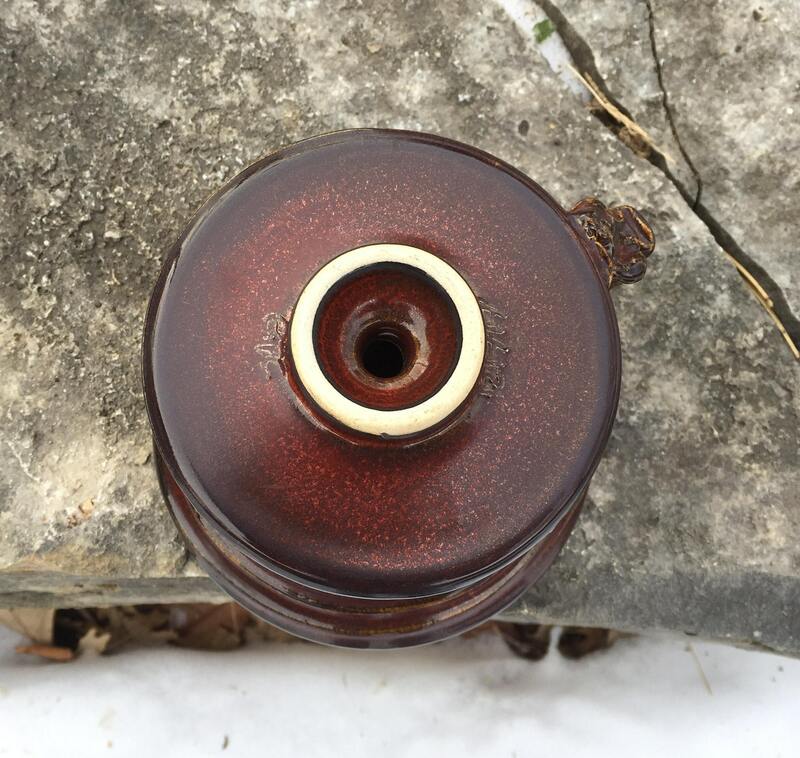 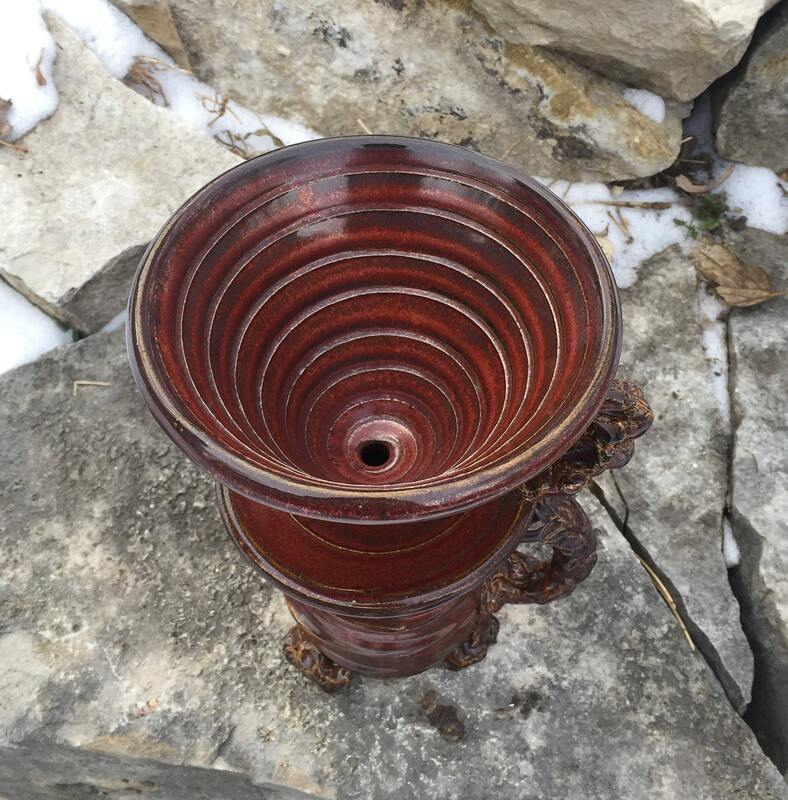 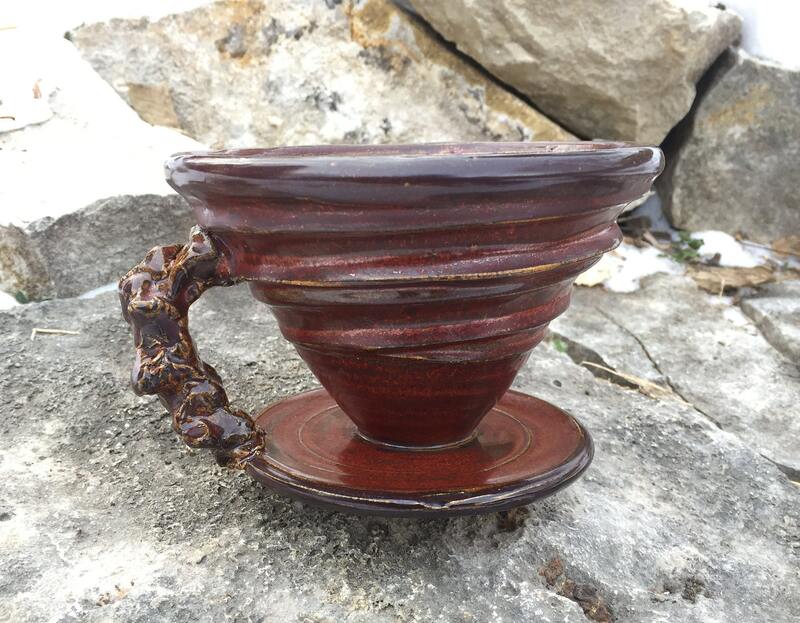 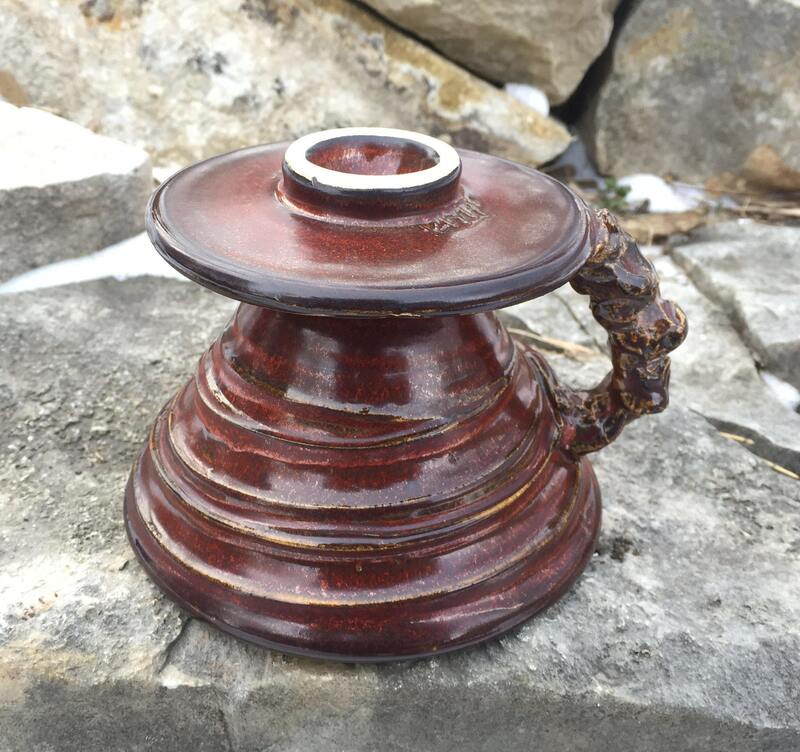 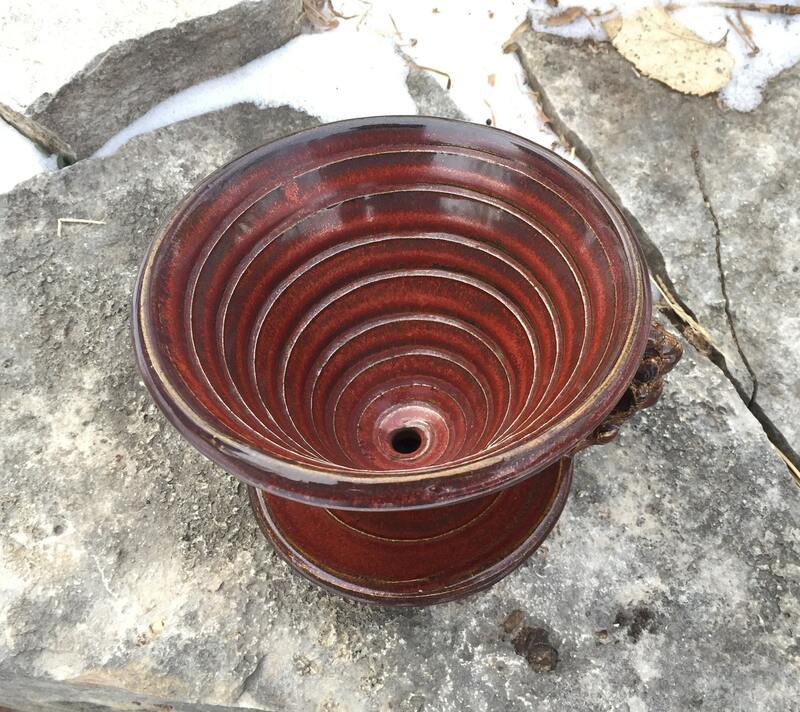 It is glazed in a satin red, black, and tan glaze both inside and out, and electric fired to about 2170 degrees Fahrenheit. 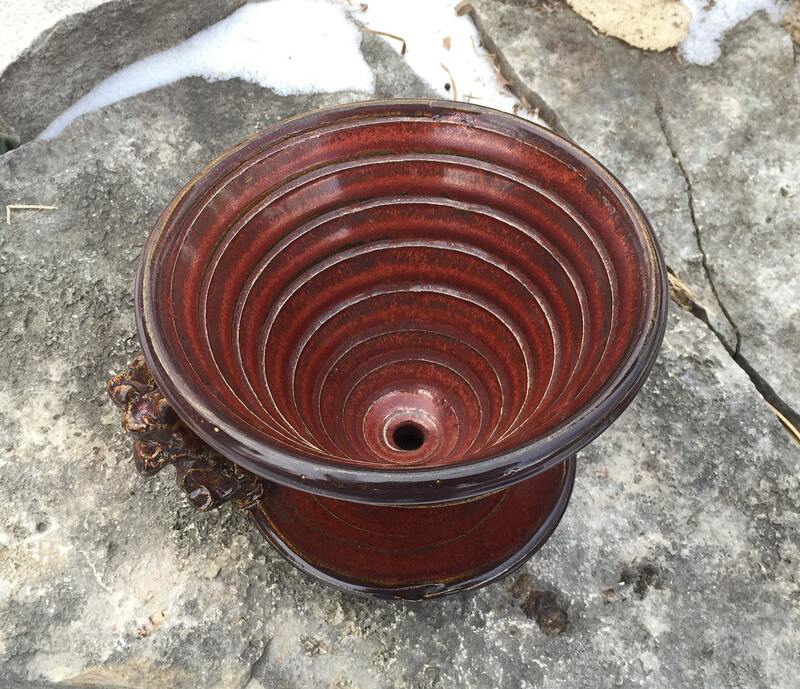 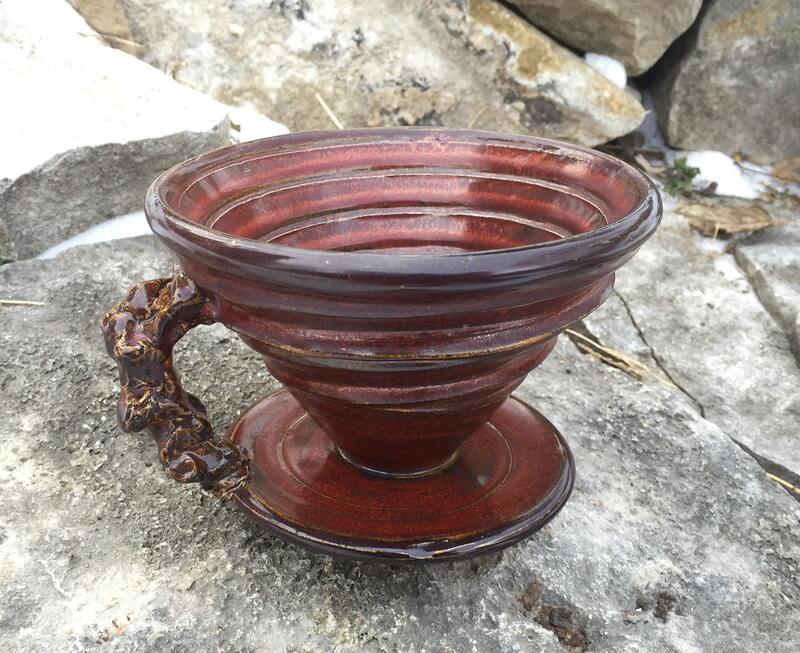 This piece measures 3 3/4 inches tall, 5 1/4 inches wide at the rim, and 5 3/4 inches wide at the handle. 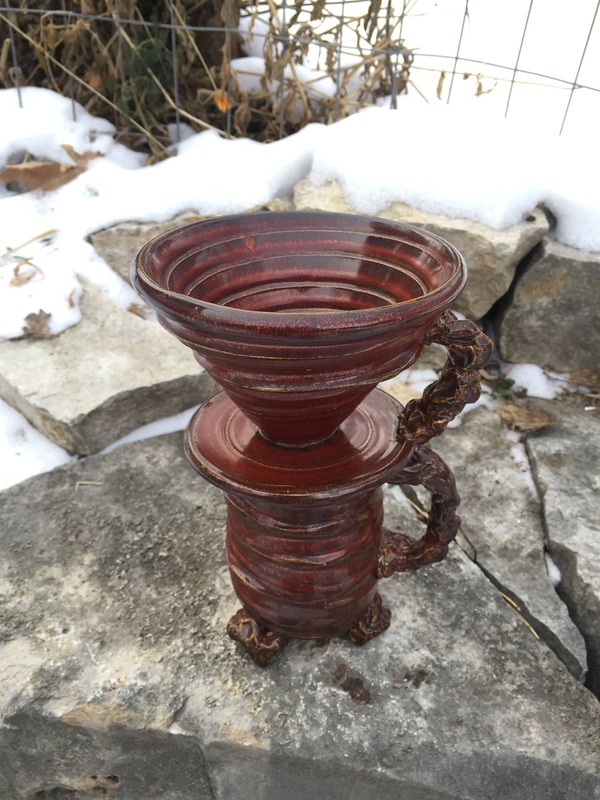 Five (5) paper cone filters included.